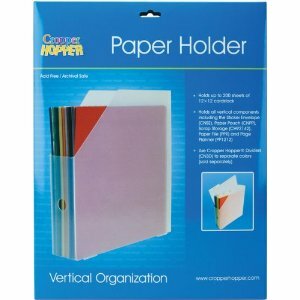 ADVANTUS-Cropper Hopper Vertical Paper Holder. All of your cardstock; standard and specialty weight papers will be protected with this group of organizers. This package contains one 13 by 13-inch frosted plastic paper holder that holds up to 200 sheets of 12 by 12-inch paper. Product in picture is not included. Imported.